Despite a strong start to 2017, the national jobs index dipped to its lowest level since October 2015, according to the Paychex | IHS Markit Small Business Employment Watch for May. Small business job growth has declined for three consecutive months, the weakest three month change since July 2009. 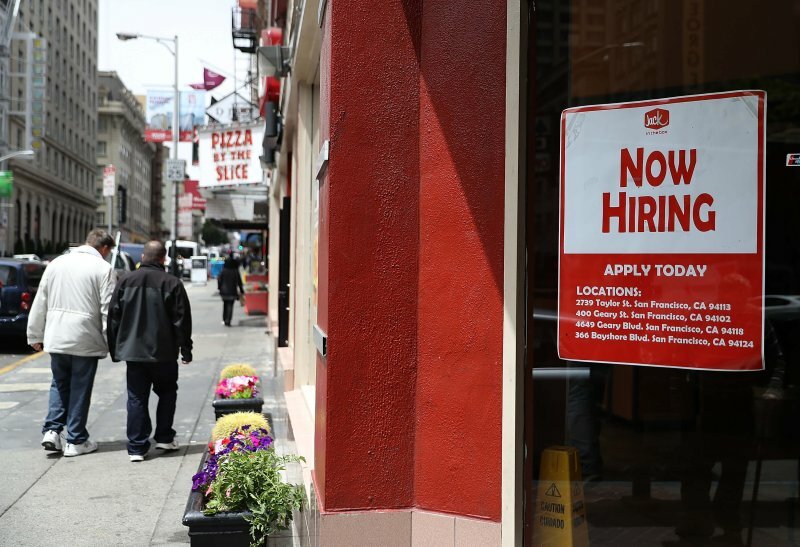 The report, released Tuesday, comes three days ahead of the much-anticipated release of the Bureau of Labor Statistics employment data for May. Though its index is also down, the South remains strongest in the nation for job growth, with Tennessee leading the southern states in employment gains. Dallas remains the best metro area for small business jobs. While the employment rate is declining, hourly earnings are up for the fourth consecutive month, increasing 2.87 percent in May. The West ranks highest for wage growth, with with Arizona showing the strongest increase in hourly earnings. National hourly earnings in May reached $25.76, an increase of $0.72 year-over-year. Earlier this year, Mucci attributed employment growth to Trump’s pro-business agenda and tax reform plans, as well as his promise to rollback regulation and reform health care. By industry, manufacturing is the only sector to show employment growth in the month of May, though it has formerly been the slowest industry for small business hiring growth. Construction continues to show the weakest 12-month growth rate; since late 2015 job growth in construction has steadily improved in the south but slowed in all other regions. The industries with the lowest hourly earnings showed the strongest wage growth, including Other Services and Leisure and Hospitality. Nationally, the three-month annualized growth rate is over three percent and trends above the 12-month growth rate. Of all the states, Washington leads for year-over-year growth in both weekly earnings and weekly hours. Arizona leads in hourly earnings growth for the third month in a row, gaining 4.63 percent year-over-year. Missouri is the lowest performer in hourly earnings growth, and has not yet reached two percent growth in this decade. The Paychex | IHS Markit Small Business Employment Watch is released each month by Paychex, Inc. and IHS Markit. The report is an analysis of national employment and wage data from from 350,000 small- to medium-sized businesses.